The formal presentation of the WDT award will be made at the Annual Awards Banquet to be held on January 26th, 2011, at the Washington State Convention Center, Seattle, during the 91st Annual Meeting of the AMS. WDT is a leader in providing value-added weather content, geo-mapping solutions and mobile alerting applications to their customers. The company counts as clients most of the United States' leading weather services and interactive media outlets, as well as governmental, industrial and military weather customers from all over the world. Founded in 2000, WDT has been awarded Inc. 500 and Inc. 5000 status five times after experiencing 80 percent annual growth during its first four years and continued rapid growth in the past few years. WDT has its roots in transferring technology from Federal and University Meteorological Research Organizations and operationalizing that technology to provide value-added content to its partners. 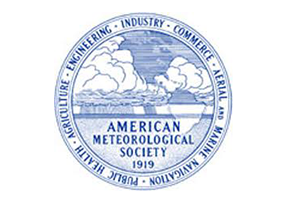 As an example, WDT has licensed state-of-the-science technologies from the National Severe Storms Laboratory, MIT Lincoln Laboratories, the Oklahoma Climatological Survey, the University of Oklahoma and McGill University, among others, to provide superior weather prediction capabilities to companies with weather sensitive end consumers. WDT provides interactive and mobile iMap® new media solutions for local media organizations, servicing over 800 media websites across the United States, and over 3,000 non-media sites. In the mobile space, WDT was awarded the prestigious "Top 50" Google Android Developer Award for its revolutionary iMapWeather™ location-based handheld weather application. Additionally WDT is supplying a growing number of TV and radio companies with best-in-class iPhone, iPad, Android, and mobile web applications. WDT is releasing its patent-pending “iMapWeather Radio” this quarter, which provides local media organizations the ability to provide hazardous weather alerting to consumers based on the location of their mobile device as well as other saved locations. These alerts are combined with multimedia methods for local television meteorologists to warn consumers of severe weather events, including push notification of messages directly from the meteorologist, and live real-time streaming video and audio. These mobile applications help the local meteorologists to warn consumers and, ultimately, save lives. Globally, WDT has built custom systems and services for utilities, international airports and other large-scale enterprises. A flagship product is the Aviation Weather Decision Support System (AWDSS) that WDT delivered to Dubai International Airport. This AWDSS is used 24/7 by the Dubai Met Office and air traffic controllers and has increased efficiency and effectiveness at Dubai Airport. More recently, WDT has delivered lightning decision support systems for the renewable energy industry in the United States and hydro and weather decision support systems for government meteorological offices in Italy, the Philippines and Indonesia. WDT currently employs 70 employees in its U.S. and global offices. WDT’s Norman, Oklahoma-based headquarters are on the Research Campus of the University of Oklahoma, home to the National Weather Center and related organizations including the School of Meteorology, the National Severe Storms Laboratory, the Norman National Weather Service Forecast Office, the Radar Operations Center, the Storm Prediction Center and the Warning Decision Training Branch. WDT also maintains additional offices in Atlanta, GA and Arlington, VA.